Dumbo was a great success because of its story, characters, and beautiful sequences, but most of all because of its great animation, more cartoony and exaggerated than previous features. But for Bambi, Walt Disney wanted the studio's animators to animate every single animal as accurately as possible, hence the long pre-production of the film (it was set to be Disney's second animated feature). Dumbo was a film where budget was very limited and the studio had to make the most of what they had. But for Bambi, the studio decided to spend more on visual effects and more time studying animal behavior to get everything just right. The result was definitely worth it. A perfectly animated film with gorgeous backgrounds and beautiful characters. 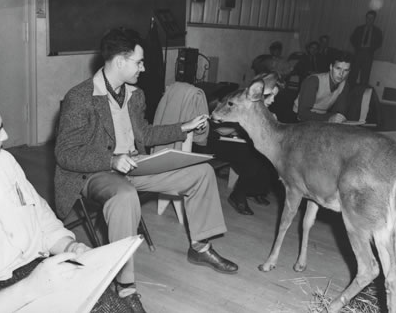 To help design the characters, Walt Disney even brought real animals into the studio so the animators could study their anatomy, movements, and behavior in different situations. But the forest animals weren't the only things that the animators studied. Some of them spent a great amount of time looking at drops of waters and the ripples they created, in order to create the beautiful sequence of April showers. And there was even a group that drove to Maine to take pictures of the forest as reference. But the animation wasn't the only thing that made the movie so great. As in Snow White and Pinocchio, the backgrounds played a huge role in the movie. 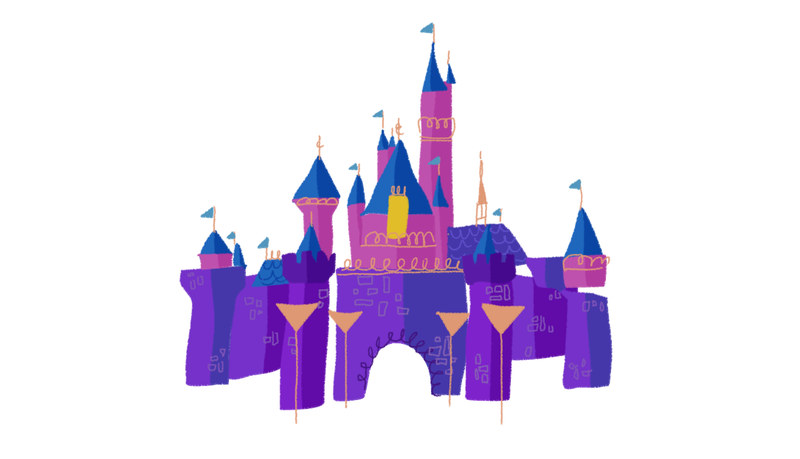 After seeing the reference pictures taken from the forest, Walt was a little worried that they would never be able to recreate them for the film. But then, something great happened. 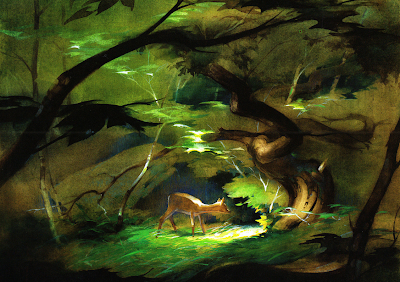 Tyrus Wong, who had been working for Disney as an in between animator, showed Tom Codrick (Bambi's Art Director) some of his landscape paintings, and instantly they knew he had to work on Bambi as a background artist. Combining Wong's beautiful backgrounds with the technology available at the studio, Disney was able to create sequences with incredible depth. Just look at intro sequence, which sets the tone for the whole movie: beautiful landscapes with great songs! The great casting of voices played a huge role in the films success. The studio did not use famous actors, but instead more honest voices were cast as the characters in the movie. My favorite character is Thumper. An awesomely funny voice combined with great animation by Ollie Johnston makes some of the best scenes! Finally let's talk about Bambi's mother's death. This is probably one of the most famous deaths in history! We all remember this as a tragic scene in the film, and most people even remember seeing Bambi's mother dead in the film. But the truth is that Disney never even showed the scene where she is shot! The only thing we hear is the gun shot, and then Bambi looking for his mom. 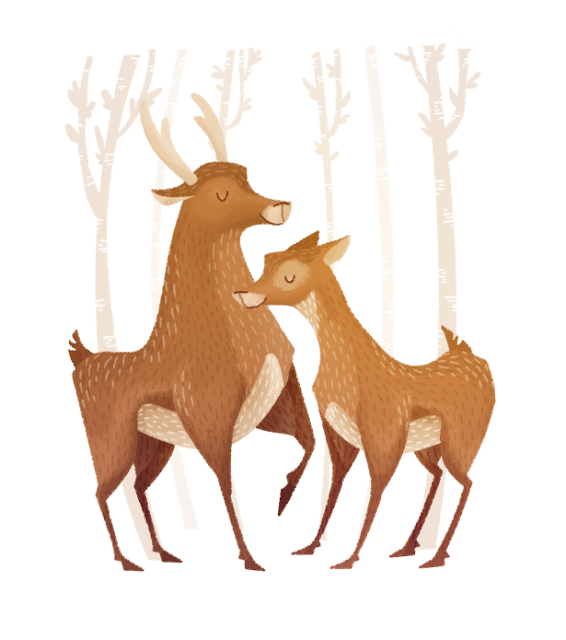 After that, Bambi finds his father, he sheds one single tear and they're gone. So even though most of us remember the film as a tragic one, there are more funny parts than sad ones. I really enjoyed watching this film again. I hadn't seen it for years! If you can, watch it again. I'm sure you'll enjoy it more than you think. And you'll cry less than you think!